Pumpkin Smash is a brand new game to Wizard Slots developed by the team over at Yggdrasil Gaming. Mixing all the elements of your standard Halloween slot playing extravaganza and throwing in some exquisite day of the dead Mexican artwork and you’ve got yourself a slot game. 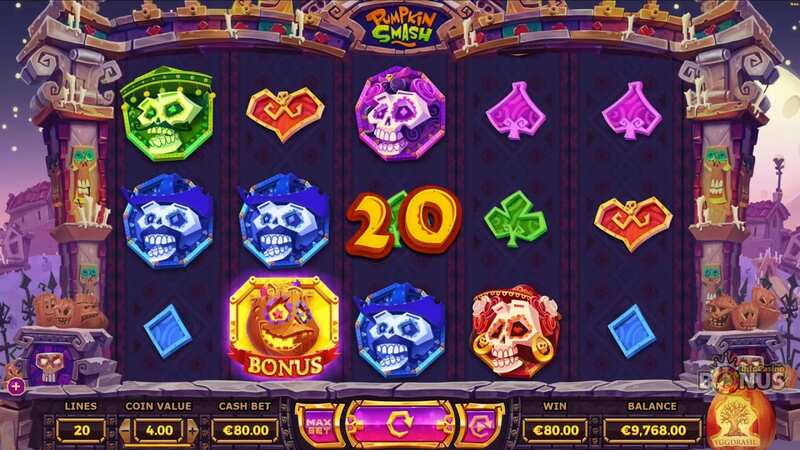 Explore five reels of glowing and spooky slots mayhem when you play Pumpkin Smash. If you're not up for this game, we recommend you to click to view UK slots! For more Yggdrasil games, view slot games here now. 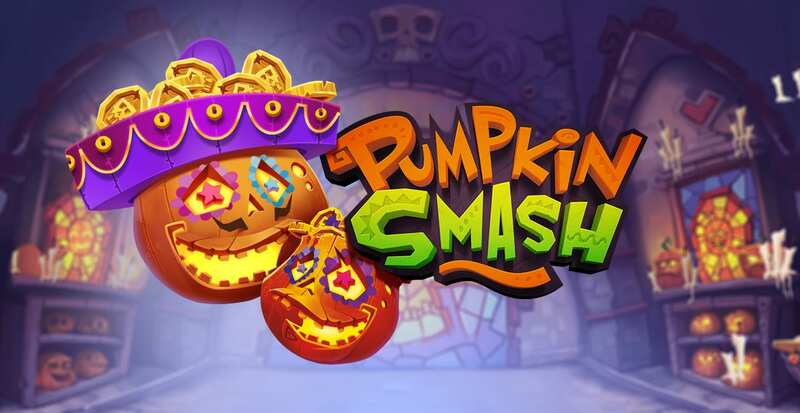 The Pumpkin Smash video slot game from Yggdrasil is certainly one of their best games yet, with a Halloween and frightful ‘Day of the Dead’ Mexican theme it is certain to scare the living daylights out of you while offering some whole-hearted levels of fun. Where Halloween is often associated with spooky goings on and ghostly wintery fun, the day of the dead in Mexico is a time of colour and celebration as well as a fun time to party and play some from top 20 UK slot games now. Additionally, Yggdrasil is always ready to make their games as accessible as possible to their players by utilising their technology to fit a whole range of desktop, mobile, and tablet devices. Pumpkin Smash features 5 reels encompassed of 20 paylines filled with gruesome yet playful Mexican jack o lanterns. The object of the game runs on a similar to theme to most other slot games but there are certainly some bonus games that we’ll get onto later that really differentiate this game and Yggdrasil’s work from the rest of the bunch. As usual, if you’re looking to achieve some of the smaller wins then players can match up and accumulate the playing card symbols that populate the reels. The larger valued symbols are made up the Pumpkin heads and WILDS. Stumble across the kooky Pumpkin Bonus symbol and enter the bonus rounds where you must smash the pumpkin to reveal your prize. In addition, the more bonus pumpkins you find the more you’re allowed to smash and the more prizes you will win. Pumpkin Smash is another brilliant game from Yggdrasil and has all the aesthetics and gameplay that they’ve become famous for. 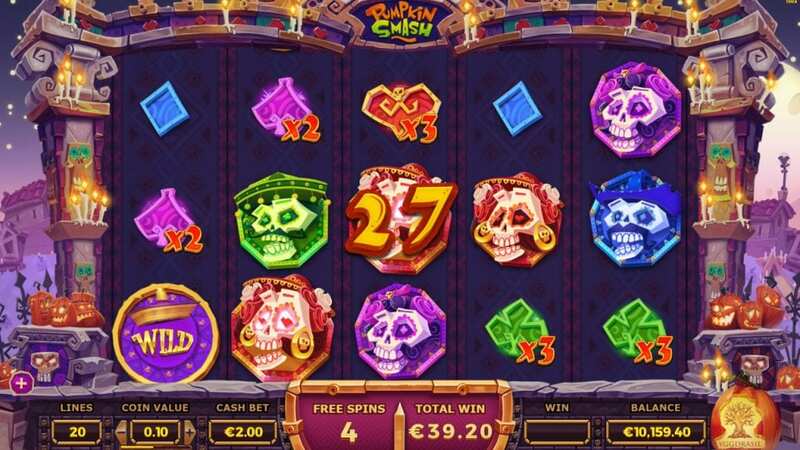 As well as some gratifying bonuses Pumpkin Smash is great fun to play and provides that escapism that we all search for in our wonderful online slot games. If you loved Pumpkin Smash then why not play Twin Spin Deluxe.